It is the best and healthiest millet better to be consumed during summer. Ragi/finger millet is a grain where they are soaked, sprouted, dried, roasted and powdered. This powder is used to make various recipes in India. It has got various health benefits and is mostly known for its weight loss properties and its fully packed with proteins and prevents ageing and cancer as well to certain extent. Finger millet is a rich source of phosphorus, potassium and iron. Ragi is widely popular in southern india mainly grown and consumed in the region of karnataka. Ragi flour is made to make unique variety of recipes such as ragi roti, ragi balls/laddu, ragi mudde, ragi sankati etc.. Here I have decided to start posting recipes of ragi starting from ragi java recipe which is a commonly made drink with ragi. Ragi malt can be modified for kids and is very healthy for babies and toddlers. 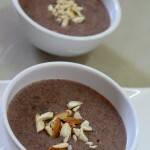 I shall be posting the recipe of ragi porridge recipe in detail as I update my blog recipes. This ragi malt recipe has been made very rich and nutritious and is best if consumed as your breakfast meal or during aytime of the day. 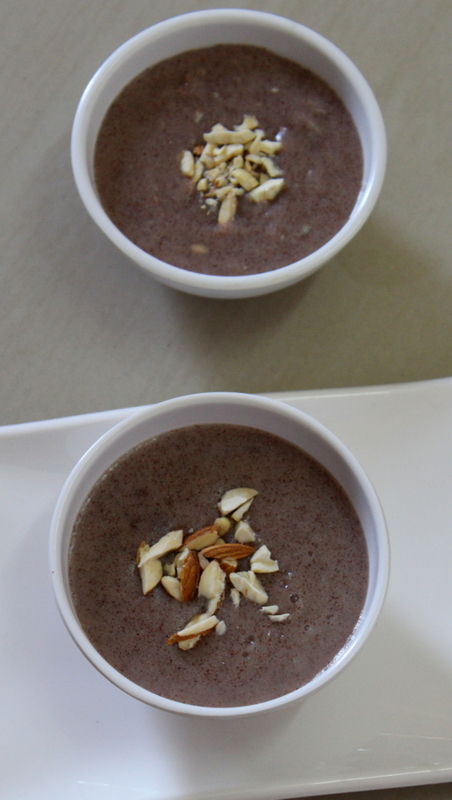 A summer special dessert or drink made with ragi/finger millets which have got many health benefits filled with many nutrients and vitamins. Take a sauce pan, into it, add water and bring it to a boil. Meanwhile in a small bowl, add ragi flour, add little water and make a paste without any lumps by stirring well. When the water comes to a boil, add sugar and stir well until it gets dissolved. Add cardamom powder into it and mix. Add the ragi paste into the boiling water and stir immediately and continuously to avoid any lumps. Cook it for 3-4 minutes on low flame. Finally, add milk and mix well. Garnish generously with dry fruits and some ghee. 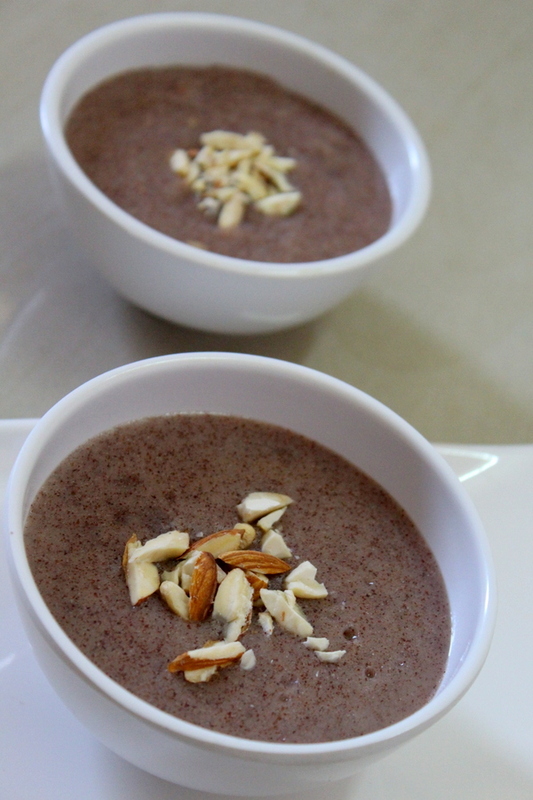 Enjoy this delicious ragi java. 1.I have added sugar but it can be replaced with jaggery too as jaggery is a high source of iron and makes the dessert/drink delicious. 2.Also curd can be added and mixed in place of milk. 3.Never ever add the ragi flour directly into the boiling water as adding the flour directly makes the ragi malt full of lumps. 4.Adding ghee is optional but tastes delicious.